『Within the countless distance of time that encompasses my being, what is it that defines me? Each time I am reborn, my life is different, the faces and experiences I am given are different, so too are the feeling that well within my core. To pick a way to describe that which is my existence would be foolish as well as an effort wasted for words can not convey what experience gives. Summoners have always had a special partnership with the creatures and being they summon from another world, strengthened through hardships and forged through time they not only grow closer as a team but they grow stronger, able to accomplish feats that border on the legendary. Throughout the ages, a darkness has begun to creep across the land as moment by moment, monsters have begun to appear in this once peaceful land. Where farmlands would once reach out in their vastness, destruction has begun to descent as the fields where farmers worked hard to nurture crops, would become churned up, set ablaze, washed out and destroyed. In the cities, a heave sense of fear lingers as many people begin to fear leaving the safety of their own homes, hiding away from strange yet vicious attacks and on occasion even death. Many have tried to discern the source of these monster's and their sudden arrival and the Summoner's guild has even gained many requests to look into the matter, yet despite this, there has been only silence to answer the questions that arise in it's wake. 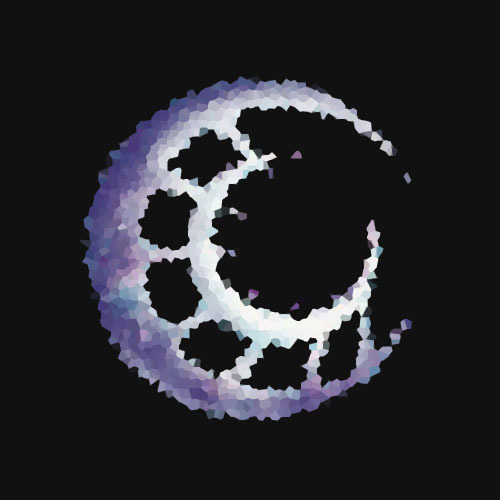 What the guild has been keeping secret is that one of their own has seemed to have vanished in the darkness, their most powerful summoner vanished overnight. Not wishing to create a widespread panic among the masses, they have decided to send their own out on the mission to not only track down this missing summoner and bring them back, but to keep an eye out for clues that would explain the sudden appearance of these monsters that would perhaps lead them to the cause of these strange appearances. Warrior's: These individuals show great promise in their physical aptitude and abilities. They are great fighters and skirmishers who excel on the field of battle. Mage's: The counterpart to the Warrior, these individuals have a base understanding of the world around them and can heal and protect their allies or reign damage from afar. Knight's: Those that prove to be exceptional Warrior's not only further hone their bodies and physical capabilities may be given the title of Knight. These individuals are often entrusted to perform tasks that are beyond the capabilities of a Warrior, from eradicating dangerous entities, protection of various objects or officials or apprehension and capture of ruthless criminals. Archons: Mage's that continue to excel in their studies and have a fair amount of experience both on the field of battle and off are given the title of Archon. Their skills and knowledge enable them to bend the elements to their will and the world around them heed's their desires. Those that are given this title may be given various tasks that surpass the capabilities of the Mage, much like the Knight. Guardian's: The greatest of Knight's sometimes aspire to become Guardian's. Those granted this title are acknowledged for their superior abilities and experiences if they pass their initiation trial. Their skills are far beyond a mere Warrior and their responsibilities and tasks given to them are often relating to the good of all. The tasks they are often given relate to training and teaching Knight's or they are granted missions that are deemed to be highly sensitive or dangerous. Summoner's: An Archon that has a large amount of experience both on and off the battlefield and have an incredible amount of knowledge on matters concerning the arcane are granted the title of Summoner if they pass their initiation trial. Those that accomplish this feat are given the task and duty of teaching Archons or they are handed missions that are deemed highly dangerous or dealing with sensitive matters. Her pale skin holds the slight trace of opalescence when she is under direct moonlight. Has mithril and gemstone markings on her back that were painfully and painstakingly sewn into her. The ray's of the sun can cause drowsiness. The heat of the day and open flames are able to cause severe heatstroke. The precious metal gold severely weakens her, causing her to become quite ill much the same way as the Fey do with Iron and Silver does to that of a Werewolf. In the most severe cases of each of these ailments, she am prone to fainting, illness and burns. Has to drink blood on occasion much like a vampire. If enough blood loss occurs, she will enter a predatory state and seek to remedy this action as soon as possible, making both friend and foe a target until her thirst is sated. Gemstones and jewels, cards and various alcoholic beverages, felines, secrets and many more. Spiders, creepy crawlies, those without honor, those that deceive and the rotting undead. Magic related feats, Speed related feats, Agility related feats, stealthy, theft and lock picking skills. Physical Combative Arts, Physical Strength, Physical Endurance and a poor sense of direction. Extremely adept at things involving magical aspects, highly powerful magical proficiency, Enchanting, Summoning Proficiency. Physical Endurance, Physical Strength, Physical Combat, High Temperatures, Gold, Direct Sunlight. The scent of sandalwood and dragons-blood seems to exude from her being as though it were a shroud. Her exotic appearance and how she appears to float slightly aloft in the air instead of walking can cause others to become curious about her along with the air of tranquility she has about her, she moves with a kind of otherworldly grace and style as well as that of such silence that at times she sneaks up on people and startles them with an almost sudden appearance as though from nowhere such is the extent. She is quite adept at the arts of thievery and is extremely fast and agile as well as being able to drink a large amount of alcoholic fluids before intoxication takes hold. Although she is able to be killed, her body dissipates enabling her to be reborn, however rebirth does take some time to be completed, these are one of many secrets she refuses to tell all but the most trusted of those she knows. She also wears garments that are extremely durable as they are made from magical crystalline threads, augmenting her magical abilities. Within the countless distance of time that encompasses my being, what is it that defines me? Each time I am reborn, my life is different, the faces and experiences I am given are different, so too are the feeling that well within my core. To pick a way to describe that which is my existence would be foolish as well as an effort wasted for words can not convey what experience gives. All this and more lays at her fingertips yet she is incredibly secretive and knowledgeable about events that had taken place and are occurring she keeps the information to herself and reveals it to naught but those whom she not only finds worthy of such information but perhaps even bestows gifts upon these individuals in turn. I am the one whom tips the scales, bringer of death, granter of life, weaver of fate and bearer of fortune...or lack there of. 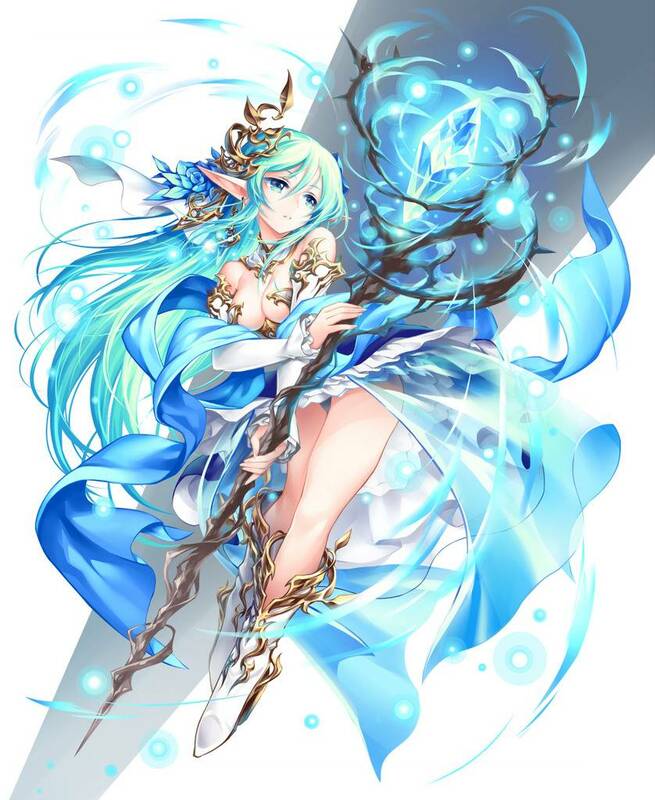 Once she was heralded as the greatest summoner that the guild had ever seen, her magical abilities and prowess unmatched by any that had come before or since. She worked to achieve the tasks that were asked of her, those that others had been unable to achieve and doing so without hesitation. She helped others to refine and master their own abilities and under her tutelage those she helped grew into extremely adept and powerful mages and summoners in turn. One day however she was confronted by her guardian, a man with whom she held a strong bond forged through the trials they had faced together and overcome. The man burst into her private chambers and took hold of her, whispering something within her ear that sent her blood to run cold before he fell to the floor as his life left him. This caused her to become greatly withdrawn and secretive and after the funeral of her guardian, she vanished without a trace. On occasion there have been rumors of her sightings yet thus far all attempts to locate her have failed, leaving the questions to remain unanswered. Within the countless distance of time that encompasses my being, what is it that defines me? Each time I am reborn, my life is different, the faces and experiences I am given are different, so too are the feeling that well within my core. To pick a way to describe that which is my existence would be foolish as well as an effort wasted for words can not convey what experience gives. She is often portrayed as naught but an entertainer working at the local taverns or other places where gossip is abundant or selling her items of magical nature to those whom she encounters that may have lower alcohol tolerance than others in order to get a better deal at times, intrigue and information can be gathered easily before she leaves to make her way to the next city and offer her skills there, however, Aeos is a very mysterious being who appears to be naught but just another being that may cross your path. The truth however is something much more. She has great power at her disposal and has even used it in the past to alter the very world itself. All this and more lays at her fingertips yet she is incredibly secretive and knowledgeable about events that had taken place and are occurring she keeps the information to herself and reveals it to naught but those whom she not only finds worthy of such information but perhaps even bestows gifts upon these individuals in turn. This also varies with my life, unfortunately not much else can be said about it save that I hold several ties, connections far more complex than you could understand quickly...the first of my sister, the second my niece whom is also my ancestor...I also have a brother somewhere...my twin. Other than this I hold one singular being within my heart...and I shall speak no more about this...not to one as unworthy as yourself. I am not without my own fears or flaws, three in particular come to mind that are able to cause a great deal of blind panic to rise within my being and take over, those happen to be creepy crawlies, spiders and the rotting undead. She left the Summoner's Guild upon learning of it's dirty little secret. From healing, enchanting, altering or harming, Aeos' magical prowess and capabilities are beyond any other being. Anything in the realm of magic that is possible, she excels at to an almost unimaginable degree, so much so there are none that pose a challenge or threat to her in such specialties. Although Aeos is highly adept and skilled in the use of magic and it's various applications, she rarely uses it unless she has need to. The way she uses magical energy is by acting as both an amplifier and conduit that can refine magical energy, taking it into herself and processing it into various forms or effects, much the same way that a glass prism will split light into a spectrum. Due to the unusual nature of her being and it's various intricacies she is extremely secretive about a large number of personal aspects and it would take a bit of work to gain her trust enough for her to offer these secrets in turn. The Crystal Lands of Aethernium, a place you shall never see if I can help it. Far older than I appear to be? Woman, should I check again? Single is my heart yet I still seek to find my beloved Eto one day for he holds my soul...so it could be labeled as complicated. Heterosexual, yet I acknowledge the preferences of others. If I had one I suppose it would be in my earring. Small of stature yet not of heart. I reach 155cm to the stars on high. That's approximately 5ft tall. Offers a glare at this question while floating in the air. My current form holds eyes of azure hue, yet if you look closely there are moonstone flecks in the iris and the faint rainbow hue to be seen in the right angle within the depths of my pupils. Just as my eyes and form change, so does my hair. Presently it is ankle length azure in hue, yet close examination shows it to appear to be made of moonstone. The hue is just the reflection of the sky's tone. And enjoy quite a variety of things. I enjoy things such as gemstones and jewels, cards and various alcoholic beverages, felines and many more. Aeos is a very mysterious being who appears to be naught but just another being that may cross your path. The truth however is something much more. She has great power at her disposal and has even used it in the past to alter the very world itself. All this and more lays at her fingertips yet she is incredibly secretive about things that are occurring she keeps the information to herself and reveals it to naught but those whom she not only finds worthy of such information but perhaps even bestows gifts upon these individuals in turn. My skills often encompass the spectrum of the mystical and magical in their nature, however when it comes to the realm of the physical, I am found to be quite fast and agile, I am able to become difficult to notice and easy to forget should I desire, this is of use when I desire to pick a trinket or two from behind a secured lock. Although my small frame is of use to me in a great many ways, I find difficulty when it comes to items that are out of reach. I also seem to have a tendency to get into mischief somehow, curiosity often causing me to get caught up in situations that I would have preferred to avoid in the first place. I am also unskilled within physical combative arts nor do I hold any training. At last, she had concluded her business at home once again, the various tasks she had to attend to for her people and the responsibility that weighed upon her shoulders over the countless years kept her moving forward, continuously seeking to both protect and restore them once again, her mistake in her younger years brought both blessing and curse upon them. If many of those she once knew could look upon her now, they would not recognize the woman as she once was, so many forms she has taken in the past and once again this has happened, another face, another body yet still the same being within the shell. The hidden secret of her lineage kept from those she works tirelessly to protect had the potential to bring conflict and division within them so it was long ago thought best to remain hidden within the populace, serving them and watching over them as was their duty. Despite this she did not feel worthy of such prestige, such a bloodline that held gifts and secrets bestowed at her feet, she did not deserve praise nor flowered words bestowed upon those of her lineage, one such gift had caused her to take what did not belong to her for the benefit of her people, to her eyes, it was a cursed burden yet she never voiced this to any being save her siblings and one other, Eto. In the numerous years that passed her by, the faces, beings she encountered and bonds she had formed, each of them treasured as time passed by and all fell to dust, she kept their memories within her, allowing some measure of immortality to them all as she continued ever onward. Her presence was not that of a natural occurrence within many worlds and realities she had come to set foot within, she was a being from somewhere else entirely, a place that was sealed away for all save those of her lineage being the gatekeepers and guardians to their homelands, they would let none trespass and allow themselves to meet their own demise before permitting those unworthy to enter, and it has happened to her numerous times already. Once again she felt the calling of the worlds beyond, they called to her being, their very will and desire for her drew her once more, opening a portal to answer their calling, she stepped through into the space between, however upon the side of the passage, she was suddenly pulled to the side, into an unstable portal and pulled through to somewhere else. The voices of amazement, surprise and shocked awe meeting her ears as her eyes slowly opened, looking beneath her feet that floated in the air, she saw an array upon the ground. Shifting her gaze upwards towards those assembled, she tried to comprehend the request that was sent her way, yet she could not hear their words, for the world's desires, it's will reached her ears instead, drowning the voice being spoken towards her as she listened, ignoring the being that had summoned her. She sighed softly and lowering herself to the floor, cold and hard wood, polished to a sheen beneath her feet as she walked out of the array, drawing startled gasps and shocked surprise and panic. She snapped her gaze towards the figure that had called her to this place, her eyes glacial pinning them in place to not interfere before shifting to take in her surroundings. A strange place, filled with magic and life, yet far in the distance, walls would reach to the sky, making her curious as to their purpose, however her thoughts didn't remain such for long as a harsh blow fell upon her face, causing her to turn her head to the side, a bright red mark from being struck so hard flowering upon her flesh as the being that had called her began to offer harsh demanding tones, her ears finally turning towards the words sent her way. It appeared they believed themselves to be a summoner, she had arrived in an academy for promising students of the arcane, witches and warlocks arrive to learn their trade, the one that had torn into her own gateway by accident, the harsh and demanding words that fell to her ears however were met with a painfully forceful grip around her wrist as she was pulled to her feet. As she hung there, her eyes glacial as they looked into that of the being holding her, the door burst open with a crash, several entities barking orders and panic ensuing as those that had called her quickly erased the poorly created array upon the floor, spells flying into the air at one another in a skirmish. Seeing her chance, she dashed out the doorway and into the streets, a pair of wings beginning to form from her exposed back, each feather made of light that shifted hue as they formed, she rose into the air and shot towards the wall, not coming to a halt until she lay there upon it's edge, exhausted and panting before succumbing to slumber. Seated upon the wall, her gaze shifted to her surroundings, the landscape appeared to stretch so far away, and the great walls surrounding various areas as well, each one of them appeared to be different from what she could tell, making her curious about this vast separation. This world was so strange, so new and yet closing her eyes, she could hear it's will, it's cries and it's calling, holding the promise of secrets that she would need to restore her own home. As she rose to her feet she looked down below at the vast city ahead, and thus took a step forward and dropped from it's heights and slowed when she dropped lightly upon a rooftop, silent and listening carefully as her hair caught in the wind briefly. 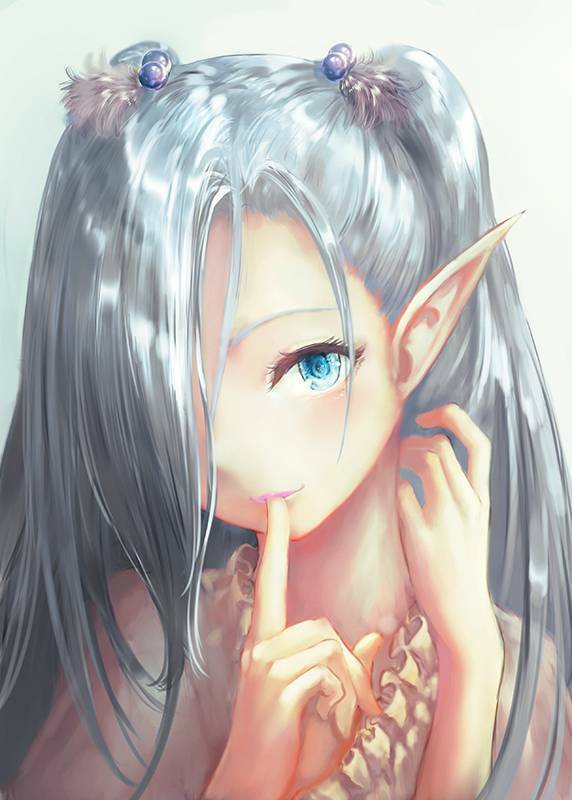 She quietly listened to some measure of rumor taking place, pillow talk as it were about what had taken place in the Magical Region. Apparently it was a group of what was called, Solitari, that had attempted to summon a creature to do their bidding and the authorities had been notified about what was happening from an anonymous source. They spoke about how the summoned creature escaped, taking flight and was likely to be hunted down for various reasons and that the border gates would have higher security, none may pass without their ID Crystals. She would likely be unable to gain the answers she needed and so with a sigh she began to make her way into the center of the district, half lost in her own thoughts as her feet led her towards one of the taverns. Taking a seat, she frowned and closed her eyes, head bowed as she brushed her hair to the side of her face in consideration. She had been dragged into a strange world, she was now a wanted fugitive from another region, has already become swept up in a conflict involving the local populace and beings that had their own desires, crossed the wall illegally and was completely lost, has no access to information, is completely uncertain as to how her abilities would be looked upon by those that reside in this world and had not even gotten a moment to adjust to her new surroundings or even what kind of currency was used. This drew a heavy sigh to escape her lips as she sat there in thought. She remained there for some time before someone made their way over and set a drink in front of her on the table. Looking up towards them questioning, they explained that someone had bought it for her, directing her gaze towards the bar where someone raised their glass in a salute. Quietly she smiled, lifting the glass in turn and then turning looked at it, taking a careful sip as the scent of the alcoholic beverage reached her nose. Despite the vast amounts of strength I hold within my small frame, all things must hold a balance and this is found within several forms. The ray's of the sun can make me quite drowsy, the heat of the day and open flames are able to offer me severe heatstroke, the precious metal gold severely weakens me, causing me to become quite ill much the same way as the Fey do with Iron and Silver does to that of a Werewolf. In the most severe cases of each of these ailments, I am prone to fainting, illness and burns. This section regards the Region. Do you agree with the experiment? What made you decide to refuse a crystal ID? I was not given one as I have arrived in a somewhat...unusual manner. How have you been avoiding the government? I keep moving, keep to out of sight, travel on the rooftops and remain in the shadows. Which Region that you've visited, is your favorite? Simply click on the song link in the posting format from time to time to find out. You are signing this as an agreement, I .. Sakura Miinlojhs promise to try my best not to OP, God Mod, Autohit, or anything else that would break the rules of Gaia and the guild. I also understand that what the Captain and her crew say is law. I will respect my fellow rpers and especially the Leaders of my Region. Any trouble, especially after given any warnings, may result in being kicked from the guild. I am here to have fun, so after acceptance.. I'm going to unleash the awesomeness that is my character!